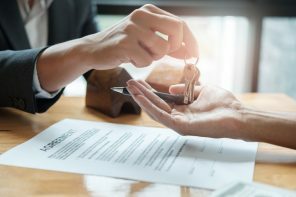 MINTEL | “The UK food scene is busier, buzzier and more exciting than ever, with new restaurants, food markets and pop-ups opening before one has a chance to say “fish and chips”! As the trendiest, Instagram-friendliest concepts grow in popularity, supermarkets are taking inspiration. Here, we take a look at 3 foodservice trends making their way to retail shelves. Inspired by Japanese Izakaya bar culture, where tasty morsels of food (often fried) are served up with alcohol, Japanese comfort food has found a home in the UK. 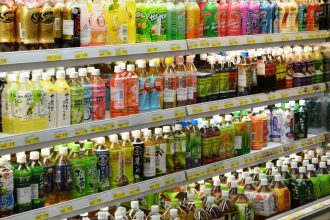 Umami-rich sauces accompany deep-fried chicken and squid, noodle dishes become more indulgent, and Katsu Sando’s are becoming more popular. Street food is a major influencer, with Japanese favourites such as takoyaki (squid balls) appearing in mainstream restaurant Wagamama. Okonomiyaki (savoury pancakes), another street food, have been popping up in various guises for a while and in April 2018, retailer Co-op featured an Okonomiyaki recipe in their magazine and online. 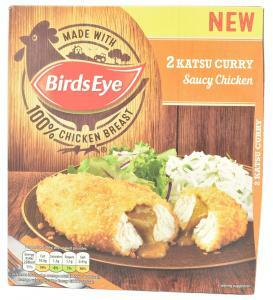 There are numerous opportunities for retail to tap into this indulgent trend, such as this clever twist on a katsu curry from Birds Eye. 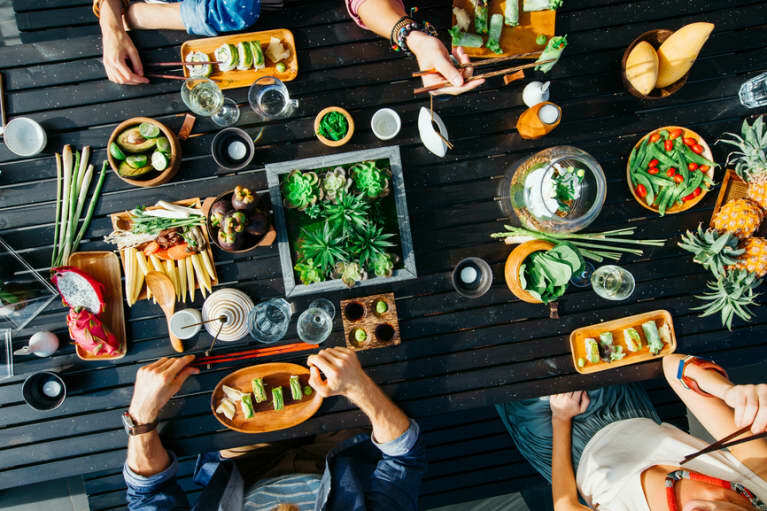 Plant-based menu innovation is massively disrupting the world of foodservice, and with consumers reducing meat intake for health and ethical reasons, this is a trend that will continue to grow. Many new high-end openings are positioning plants centre of plate: Root by Josh Eggleton is a small plate restaurant, giving vegetables top billing and serving meat on the side. Similarly, Bryn Williams at Somerset House is putting fruit and vegetables at the heart of his restaurant, calling out the plant-based components of a dish ahead of the meat or fish. Meanwhile, burger chain Byron claims to have launched the UK’s first flexitarian burgerin April 2018. The Flex is made with 70% beef and 30% mushroom and is aimed at those reducing their meat intake. 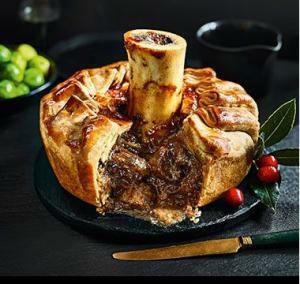 In retail, Sainsbury’s is abandoning the vegetarian sections for the launch of its new vegan-friendly range this month. 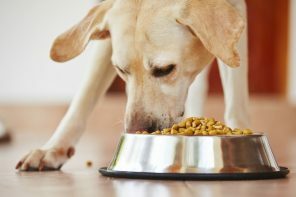 In a pioneering move, the supermarket is instead positioning the plant-based meat alternatives line alongside meat, sending a clear message of the mainstream status of these hitherto niche products. 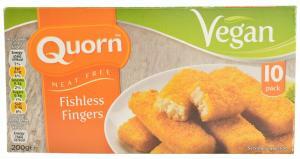 Quorn Meat Free Fishless Fingers are fish-free savoury flavour fingers, made with Mycoprotein, and coated in a crispy crumb. 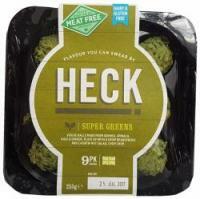 Heck Super Greens Veggie Balls are made from quinoa, spinach, kale and ginger, and are suitable for vegetarians and vegans. 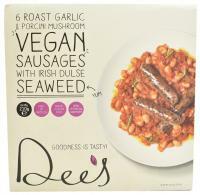 Dee’s Roast Garlic & Porcini Mushroom Vegan Sausages with Irish Pulse Seaweed are 100% plant-based, contain no gluten and artificial additives, are high in protein, low in fat and sugar. In a counter-trend to veganism, animal fats add a premium touch. 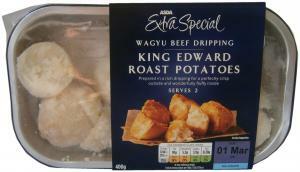 The use of traditional fats as ingredients is common in premium UK restaurants. Perhaps less concerned with the calorific content of their creations, these restaurants have devised dishes that amplify the nostalgia, flavour and mouthfeel of these fats, and call them out proudly on their menus. Championed by nose-to-tail stalwarts St. John and meat experts Hawksmoor, more modern examples include trendy Sri Lankan Hoppers Bone Marrow Varuval Curry, Lardo Fried Rice at Thai Smoking Goat Bar, and Beef Fat and Pesto Ravioli from Neil Rankin’s Temper 3.